May 2014. EISENHARDT is pleased to inform that we have been granted by the Business Initiative Directions (BID) with the `International Star for Leadership in Quality` in Gold category. The decision was taken in base of the criterias of the model of quality QC Total Quality Management. A group of experts in quality was contracted by BID to make these selections. 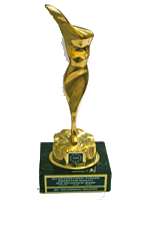 This award is given doing a selection in 118 countries between companies and organisms. February 2013. 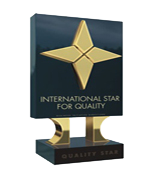 The Europe Business Asambly (EBA) in cooperation with The International Club of Leaders (ISL), Swiss Institute of Quality Standars (SIQS) and The Socrates Committee nominated EISENHARDT with this prestigious award in the quality and management spheres. 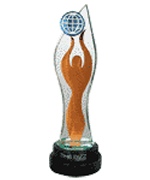 For excellent business reputation, successful management and dynamic growth to bring forward for the international award "Best Enterprise". August 2008. 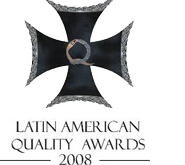 EISENHARDT has been nominated by the Latin American Quality Institute as winner of the most sought recognition of the managerial excellence of Argentina, the prize Argentine Company of the year 2008. The prize Argentine Company of the Year 2008 is the recognition of the companies and businessmen who have been outlined in his item and category, becoming the point of difference between the argentine companies. 2004 - 2005. The World Confederation of Businesses has distinguished our company with the "Bizz Awards", selecting companies and institutions of every country member of the world. This prize was granted to EISENHARDT as the result of investigations done across the Departments of Economy and Production, Chambers of Commerce, institutes of statistics and online consults. December 1999. 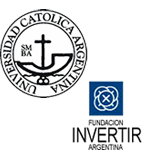 The Fundación Invertir Argentina (Investment Foundation of Argentina) and the Universidad Católica Argentina, U.C.A (Chatolic University of Argentina) have created an alternative of growth for companies, promoting investments to EISENHARDT and their competitors. The companies selected have been eight, of different specialities. For the first time in his history, U.C.A develops a Business Plan, with not academic purposes. 1996. The International Gold Star prized us for Quality and Managerial Prestige granted by the Business Initiative Directions (B.I.D, comitee) in his 22th european contest awarded EISENHARDT for the obtained results on businesses, new markets and sales. 1995. EISENHARDT was awarded with the Europe Award International, the most important managerial prize in Europe, which is granted doing a selection of 75 companies among 25 countries.